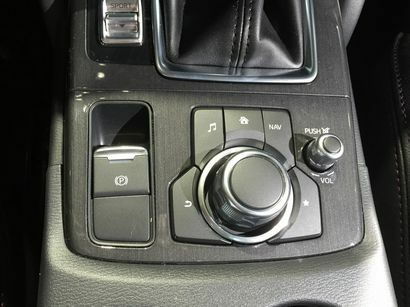 Just two years after it went on sale as a 2014 model, the third generation Mazda6 receives a number of enhancements for the 2016 model year including an electronic parking brake, updated center console, dash and armrest as well as a new manual vertical adjustment feature for the front passenger seat. 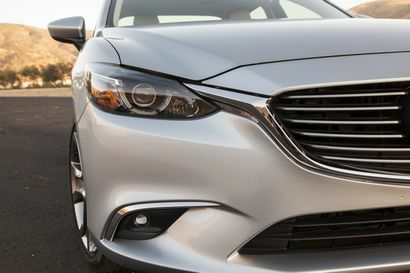 Sport models equipped with an automatic transmission get additional standard equipment including the Mazda Connect infotainment system with a seven-inch color touchscreen, Skyactiv Drive sport mode, console multi-function commander control, rear view camera, HD radio and sport mode button. 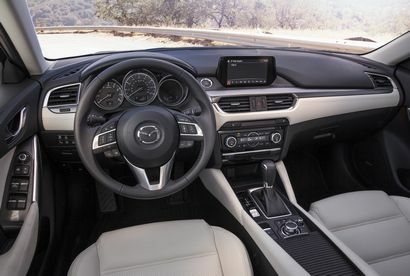 Touring models also get the larger touchscreen, while automatic-equipped models also receive the sport mode features as well as the Mazda Connect infotainment system and the front passenger seat vertical adjustment feature. The moonroof/Bose/satellite radio package is unchanged, while the Touring Technology Package adds LED headlights (adaptive), daytime running lights, signature grille lighting and heated front seats. 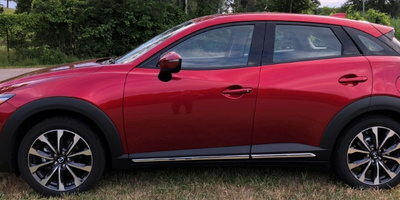 Grand Touring models get a new parchment leather interior color choice, the updated touchscreen and standard LED lighting including grille and fog lights. 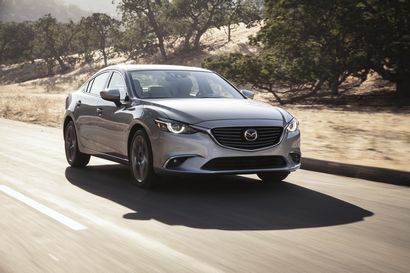 The only option, the Grand Touring Technology package, is unchanged. 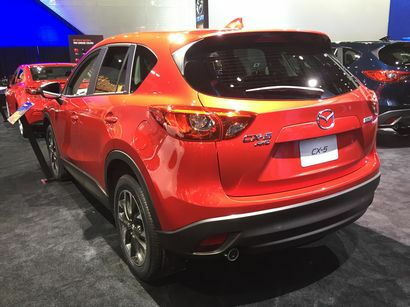 Four years into its model run Mazda's CX-5 receives a number of enhancements across the board including a revised grille and tail lights, longer front and rear seat cushions and increased sound insulation. 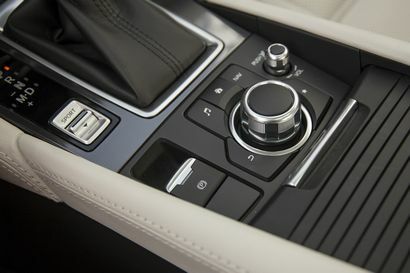 Sport models with a manual transmission get an electronic parking brake and an updated center console, dash and armrest. 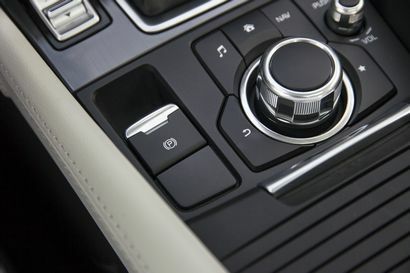 All automatic-equipped models not have the 2.5-liter 4-cylinder engine (previously it was standard on AWD models only). 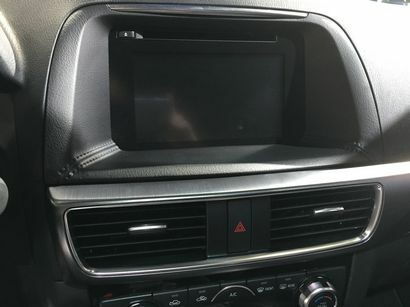 A new Rear Camera Package option ($400 MSRP) includes those features found on last year's Bluetooth Audio Package plus a larger 7-inch touchscreen, multi-function commander control, Mazda Connect infotainment system and rear view camera. 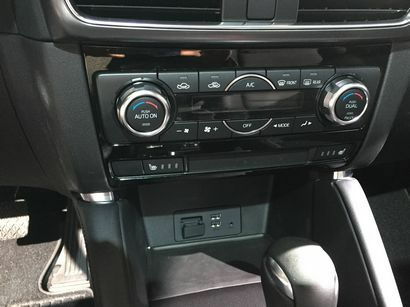 Touring models also get a new manual vertical adjustment feature to the front passenger seat plus the larger touchscreen, commander control, electronic parking brake and updated center console, dash and armrest as standard equipment. The moonroof/Bose/satellite radio package ($1,130 MSRP) is unchanged, while the Touring Technology Package ($1,625 MSRP) adds pivoting LED headlights (adaptive) with auto leveling, daytime running lights and combination taillights. Grand Touring models get a new parchment leather interior color choice, the updated touchscreen and center console, commander control and electronic parking brake. The Grand Touring Technology Package ($1,505 MSRP) now features LED headlights, foglights, signature daytime running lights and combination taillights. 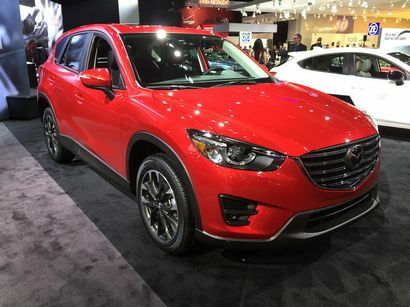 A new i-Activsense package ($1,500 MSRP plus the Technology6 Package price) includes Mazda Radar Cruise Control (MRCC) with Close Proximity Warning, Smart Brake Support (SBS) with Collision Warning, Lane Departure Warning (LDW) and High Beam Control (HBC). 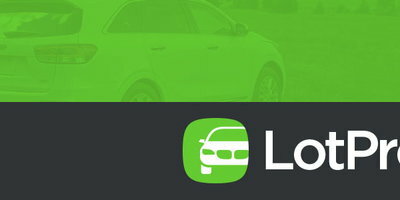 Starting price is manufacturer's suggested retail price (MSRP) for lowest trim level. MSRP does not include $820 destination charge (Alaska $865), title, taxes, license, options and dealer charges. Actual prices set by dealer and may vary.